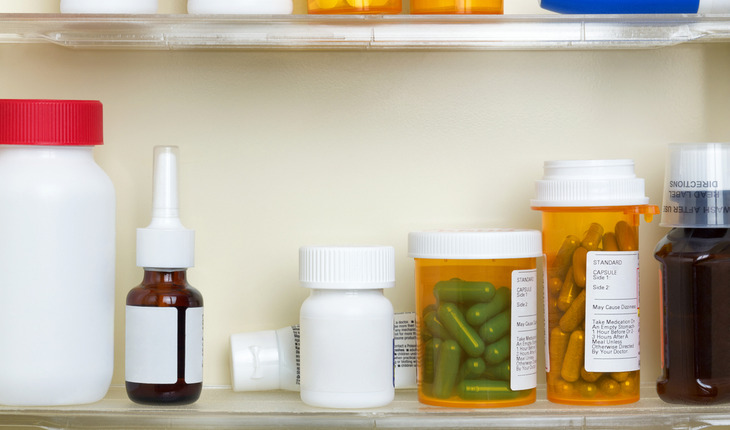 Storing asthma medications in the bathroom and establishing taking the drugs as part of a daily routine may be helpful advice that doctors can give their older asthmatic patients who struggle to remember to stick to their medication schedule. That’s the finding of a study done at the Icahn School of Medicine in New York City, which discusses how elderly asthmatics cope with taking their inhaled corticosteroid medication as prescribed. The report was published August 5th 2014 in the Journal of General Internal Medicine. A release from the publisher explains that the regular use of such medication helps to control the chronic lung inflammation characteristic of asthma, a disease that affects up to nine percent of Americans older than 65 years. However, the fact that elderly patients often have trouble staying on a medication schedule is worrying because approximately two in every three asthma-related deaths in the US occur among people older than 55 years old. Senior author Alex Federman M.D and colleagues conducted the Asthma Beliefs and Literacy in the Elderly (ABLE) study that focuses on the self-management behaviors, health literacy, and illness beliefs of elderly adults with asthma. The study included 328 English- and Spanish-speaking residents of New York City and Chicago older than 60 years with moderate or severe asthma. The team found that only about two in every five participants (37 percent) regularly used their inhaled corticosteroids. The researchers identified six strategies that help elderly asthmatics adhere to their doctors’ orders. Keeping the medication in a specific place (true for 44.2 percent of the participants) tops this list. Interestingly, patients were more likely to regularly use their inhaled corticosteroids if they stored it in the bathroom than next to the bed or elsewhere. For 32.6 percent of the conscientious elderly asthmatics, it works to use the inhalers as part of their daily routines, either in the morning while brushing their teeth or eating breakfast, or evenings when going to bed. Strategies such as using the inhaled corticosteroid at a specific time along with their other medications or only when needed are also used. Only a handful of participants jog their memories with a reminder such as a note or alarm. Elderly asthmatics who store their inhaled corticosteroids in the bathroom or who integrate its use into their daily routines are most likely to be white, American by birth and have at least a partial college education. It is possible for people to change how they adhere to using their medication. In light of this, the researchers believe their findings provide clinicians and care coaches with straightforward and useful ideas to help older patients improve their asthma medication rituals. The study also gives advice on how to identify people who need extra counseling on such matters. “People who keep their medication in the bathroom and those who integrate its use into a daily routine are best at remembering to use their medication,” the authors conclude.